Madrid: For many a beacon of Catalan identity, Barcelona are walking a fine line in the debate over a banned independence referendum in Catalonia, backing the vote without openly calling for secession from Spain. After police last week detained key members of the team organising Sunday's referendum, the club issued a strongly-worded statement condemning the arrests in "the defence of the nation, to democracy, to freedom of speech, and to self-determination". 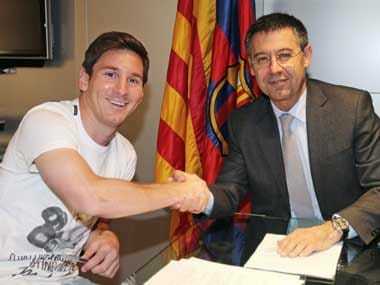 Barca "condemn any act that may impede the free exercise of these rights", they added. 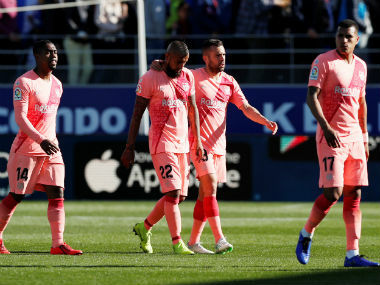 The club issued the statement in response to "very strong pressure from its (fan) base", said Carlos Vinas, a Catalan historian at the University of Barcelona, who described Barca as Catalonia's "unofficial national team". Catalonia's independence debate has put Barca's "more than a club" motto to the test. In May they signed a manifesto backing an independence referendum in Catalonia, which Spain's central government has repeatedly refused to allow arguing it would violate the constitution. 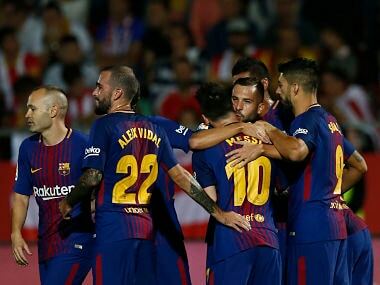 "Since its foundation Barca has reflected the social and political ideas of Catalonia," said Carles Feixa, a sports anthropologist at the city's Pompeu Fabra university. 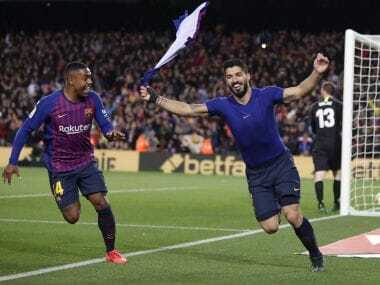 Barca will host Las Palmas at their 99,000 capacity Camp Nou stadium in a Spanish La Liga match on Sunday when the contested vote is scheduled to take place, and some supporters want the team's players to wear the yellow and red Catalan flag as they have in other seasons. But club directors said Argentine star Lionel Messi and his teammates will wear their traditional red and blue jerseys and will focus on football rather than politics. Outspoken Barca defender Gerard Pique, though, has called on people to vote on Sunday. "From today until Sunday, we will express ourselves peacefully," Pique posted in a message in Catalan on his Twitter account on Thursday. "Don't give them any excuse. It is what they want. And we will sing loud and clear. #Wewillvote." The club's stadium was closed under Spain's 1923-30 dictatorship of Miguel Primo de Rivera because fans would whistle when the Spanish national anthem was played. But during General Francisco Franco's 1939-75 dictatorship — which repressed the Catalan language and nationalism — the stadium was one of the few public spaces where the use of Catalan was tolerated. "Barca was a substitute parliament" at the time, said Feixa. "What could not be said in the democratic arena was expressed by football." And he believes the club continues to play this role today. Acts in support of Catalan independence at the Camp Nou have become more common in recent years as backing for secession has risen throughout the region, even though about half of all Catalans still want to remain a part of Spain. "FC Barcelona is a nation that represents Catalonia," said Brazilian superstar Neymar on his departure from Barca to Paris Saint-Germain last month. At home matches Barca fans routinely chant "Independence! ", jeer the Spanish national anthem and the king when he attends games, and wave Catalan separatist flags. A placard permanently hung at one end of the stadium reads: "Catalonia is not Spain". European football governing body UEFA, which opposes political messages in stadiums, has slapped Barcelona with fines over these acts, which has angered some of the club's Catalan supporters. The president of the Spanish league, Javier Trebas, a staunch defender of a united Spain, has warned that Barcelona would not be able to compete in La Liga if Catalonia gains independence. "This has a counter-productive effect. Instead of calming people, they go even further," said Feixa. Catalan historian Jordi Casassas said Barca supporters have long had the idea the club is "persecuted" economically and legally. Many believe Pique is regularly jeered while playing for Spain because of his pro-Catalan stance off the pitch, Casassas added. Barca's training academy has formed top stars such as Xavi, Messi and Andres Iniesta but the club also long provided a bully pulpit for pro-independence advocates. Back in 1936 the president of the club, Josep Sunol, was a left-wing nationalist lawmaker. He was executed that year at the start of Spain's civil war by Franco's forces, becoming a martyr. Manchester City manager Pep Guardiola, a former Barca captain and coach, has long openly campaigned for Catalan independence. The club's "most glorious period" took place during the 2003-2010 mandate of pro-independence Joan Laporta as president, said Ramon Miravitllaas, journalist and author of the book: "The Political Function of Barcelona". But he complains that by adopting a position in favour of an independence referendum the club was "breaking its own cohesion" by excluding supporters who oppose secession. 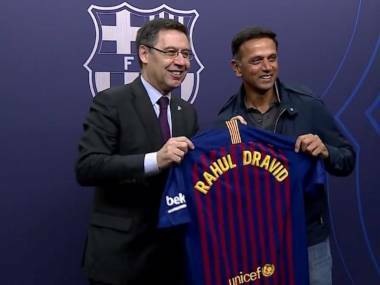 Barca are "a sauce with many flavours", with players and supporters from all social classes and parts of the world, and different political opinions, he added. Feixa points out that the club's founder, Joan Gamper, was Swiss, its most emblematic player, the late Johan Cruyff, was Dutch and its current star Messi is Argentine.